Hit the trail to family fun. Aspen Trail travel trailers combine high-end materials and construction with smart, stylish design for luxurious yet affordable RV living. One of the country’s fastest growing RV brands, Aspen Trail gives you room—with a view. Large windows bring the great outdoors in. High ceilings and wider mega-slides stretch your living space side-to-side and top-to-bottom. Aspen Trail has everything you need to feel at home while on the road. From the residential-styled furniture to the optional solid surface countertops and the 60" x 80" queen sized beds you’ll always have your home with you. The Aspen Trail Mini models offer all of the comforts of the conventional Aspen Trail models, but in a smaller, lighter weight package. 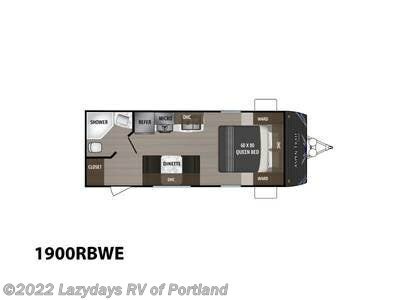 Check out Stock # 8348 - 2019 Dutchmen Aspen Trail 1900RBWE on dutchmenrvs.com!